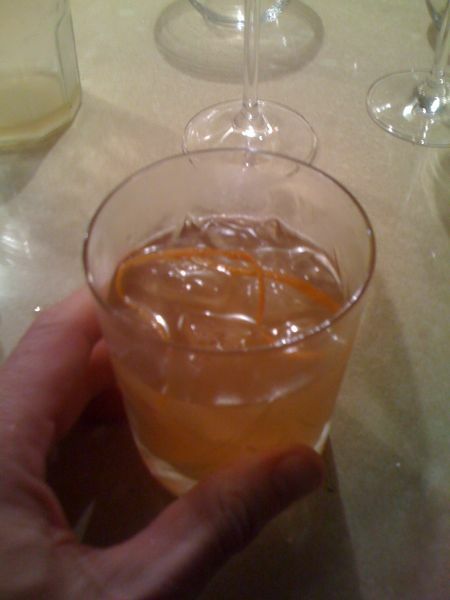 In a tumbler full of ice, mix one part bourbon (my fave of late is Buffalo Trace, thanks Drew and Whit) with one part ginger-anise syrup (don’t be shy with the ginger), and add a splash of seltzer. Garnish with a twist of orange & enjoy. The ginger-anise syrup does go quite well with clementines, too (as the recipe suggests), and now you have something to do with the leftovers. Though I don’t always appreciate the short-notice travel (yes, back in Taiwan again, this time with 5 days heads-up), I do a pretty good job taking advantage of wherever it is I end up. Take, for example, this weekend. After a long work week, I was happy to sleep in Saturday and then catch up with folks back home. Mornings here are afternoons in Seattle and evenings in Boston, prime time for Skyping and such. I headed out around 11 AM on the MRT (super-convenient subway, about a 10 minute walk from the hotel) to the National Palace Museum. It’s a very impressive collection of artifacts, art and writing from Taiwanese history, some dating as far back as the bronze age. Like any good museum, you could dive deep into any particular section and spend hours and hours there, but it’s not so big that you can’t get through most of it in a couple hours. I hopped the subway back towards the city, hoping to check out what I’d read was the fabric/fashion district (Yong-le Market). I was told after the fact, there’s not that much of that kind of thing left in Taipei, and whatever remains was totally overshadowed by Dihua New Year’s Market. I ended up buying some candy and a few odds and ends from very friendly folks, and had some very nice conversations in broken Chinese. Oh, and the scallion pancake with egg totally hit the spot.I was happy to head back to the hotel for a spell after the madhouse of the market, and after a little rest I hopped in a cab to Abe’s place, about 10 minutes from the hotel. We hung out for a bit, had a drink, and made some plans to meet up with a couple of his friends for Korean food. I’ve gotten a lot of mileage from the food blog Hungry in Taipei, and Saturday was no exception. Min Dong was a great spot with excellent food, and they were able to accomodate 7 of us on a Saturday night no problem (reservations, even at little restaurants where you would never have to call ahead in the States, are a must in Taipei). It’s a trip hanging out with Abe, who’s really thrived in a lot of ways in Taipei (he learned the language in college, and moved here just afterward). His social circle is huge, and I’ve never gone with him to a place where someone didn’t recognize him. But Abe wasn’t the only one recognized on Saturday, as we had a bona fide celebrity in our party. Not only were people coming up to her all night (seriously – there were muliple babies that were forced into her arms for photographs), but the owner of the restaurant eventually noticed and joined us for a while after we’d eaten. Along with his visit came a whole lot of beer, and then more food started arriving (could we possibly have looked hungry?). After second dinner and uncountable beers (uncountable largely because the bottles are big but the glasses are tiny), we finally rolled out with tons of leftovers and quite a good buzz going. A few of us went back to Abe’s and watched an Aziz Ansari Comedy Central special. Highly recommended; he is a very funny dude. I guess I got back to my hotel around 1:30 AM. The next morning turned out to be pretty gray and rainy, which made short work of Abe & my plans for a nice bike ride in the mountains. After a brief telephone conference at 9 AM, we both went back to sleep for a while, and eventually met up for a coffee and a hike up Elephant Mountain. As you can see from the photo/map, it’s really right in the city, but feels pretty far removed (much more so than say, Central Park). It felt good to get some exercise, see some wildlife and a bit of a different landscape for a while, and get some quality hangout time with Abe, too. Two and a half hours and four or five courses later, we were again almost uncomfortably full, but it was totally worth it. Abe had borrowed his roommate’s scooter, and so I asked him to drop me off at the Flower and Jade Markets, where I wandered for the better part of an hour. At the Jade Market, I either have impeccable taste or the vendors are trying to shaft me – whenever I see something I like (something that is actually attractive and well-made), it’s hundreds or sometimes a thousand dollars (US). Even factoring in bargaining, it’s way more than I want to spend, and the stuff that’s affordable doesn’t look worth it, even for cheap. Empty-handed but satisfied, I walked (again happy for the exercise) the 4Ã‚Â km back to the hotel, sent some emails, and watched Premier League football ’til I fell asleep. It’s been quite the week of computer- and domain related changes. For starters, I switched dsz123.net’s email over to use Google Apps. Email sent to my dsz123.net address is now handled by Google’s server, and actually forwarded to my Gmail account. This seems to be the most flexible setup; I can read my mail from anywhere and send replies from any account I want, but everything is still linked to my calendar and my Google reader feed. Though the solution feels rather Google-intensive, I do have fallback solutions should I want to extricate myself from the not-so-evil-empire, and it’s much more convenient in the meantime than anything else. As it happens, my email move also coincided with a transition in web-hosting. Former host Cedant was bought out by Aplus, and they finally switched me over to the new servers this past weekend. Unfortunately, a whole bunch of emails seem to have been misplaced during the transfer. They’re looking for them, but I’m not super-optimistic, and it doesn’t leave me with a particularly good feeling about my new hosting company.